Vintage Leaf Memories - Michael Langlois: Remembering some classy Maple Leafs—who fits that bill for you? Remembering some classy Maple Leafs—who fits that bill for you? In any event, this got me thinking about teams, their history, and the players who made particular franchises special in certain ways. Now, these things can always be debated, but when I think about all that, for me, not many sports franchises can hold a candle to the rich legacy of the Toronto Maple Leafs and its players. There are all kinds of ways, of course, to assess and gauge sports organizations. If we’re just talking about “winning”, in the North American context, certainly the Boston Celtics spring to mind, given their dominance in the NBA in the late 1950s and throughout the ‘60s and even in more recent years. In football, the Green Bay Packers (despite a rather prolonged period of mediocrity in the 1970s and ‘80s) used the legendary Vince Lombardi’s magnetism to build a lasting legacy, though the New York Giants may actually have a longer history of on-field “success”. In baseball, the Yankees were consistently the best franchise from the 1920s until the mid-‘60s. Then after a decade of stumbling, they regained their luster under George Steinbrenner, and have largely maintained it to this day, excepting a mild decline through the latter part of the '80s and early '90s. In hockey, the Montreal Canadiens have clearly been the most successful franchise in the sport’s history, though they will soon pass 20 years without a championship—something that once would have been unthinkable. But what I’m referring today goes beyond wins and losses, or championships. I guess I’m more thinking about what a franchise represents, and while all of the aforementioned teams have huge followings and a proud history, arguably none surpasses what the Leafs have built in the hockey world. 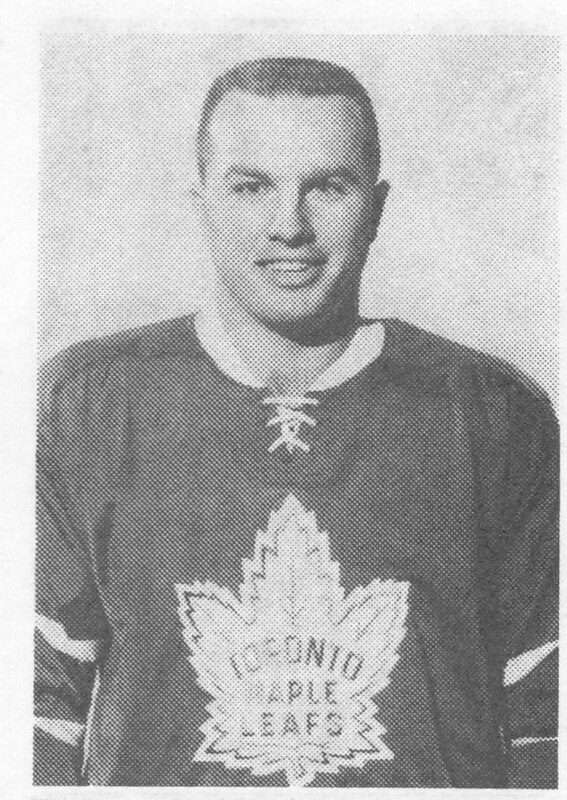 Part of the Maple Leaf legacy has to do with winning, sure, which they did fairly consistently in the first few decades they were around, under the stewardship of builder/owner Conn (and later Stafford) Smythe. 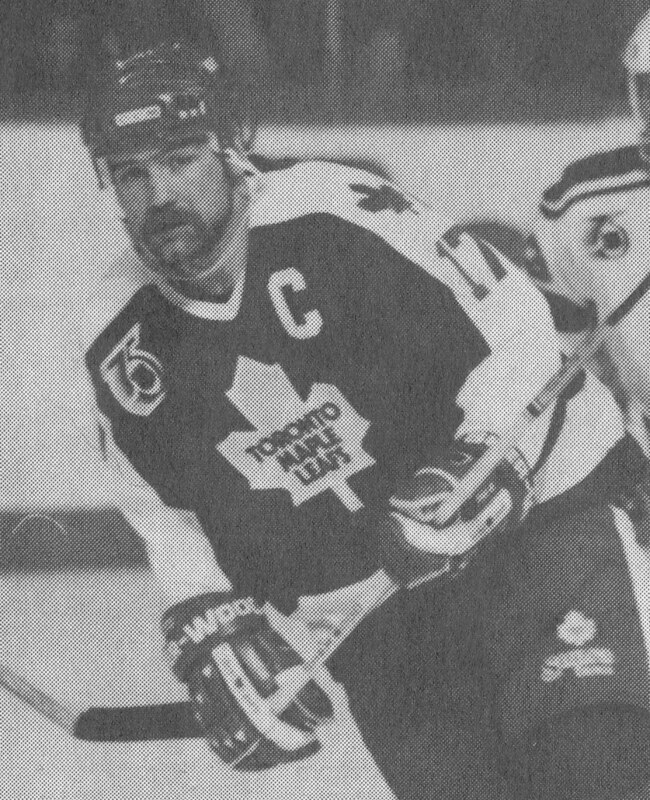 While we haven’t found a way to secure a championship over the past 45 years, that doesn’t mean the Leafs have been without some extraordinarily fine players, including many who brought a large degree of style and class to the Maple Leaf organization. I can’t really offer insight into players I did not see play, though Leaf historians well know that individuals such as Ted Kennedy and Syl Apps (and many others) would surely be in this "category" of Maple Leaf. But even if you just look at the Leafs since 1967, many fine men have worn the blue and white proudly, and in addition, helped to build an even stronger legacy for young Leafs to live up to. Johnny Bower (seen at right) is the first name that pops to mind. He didn't even begin his Leaf career until he was well into his 30s, but he became such an integral part of the franchise for many years. He had to train hard every day during the season to stay on top of his game. Players in those days did not typically last as long as Bower did. Oh, I know Johnny was on his last legs, if we’re just taking into consideration Leafs who have played since the expansion era, but nonetheless, he was one of the classiest Leafs of all time. He played seemingly forever (until he was 45, actually) and always carried himself with distinction on and off the ice. George Armstrong was another classy Leaf. He was one of those players that was not really physically imposing though he was a tall enough player for his era. He wasn’t fancy or particularly fast, but he won more way more puck battles than he lost and was the captain of four Cup teams (albeit, I acknowledge, all before 1967). He played through to the end of the 1970-’71 season. Dave Keon was certainly a distinguished Leaf. He was our Henri Richard, mixed in with the elegance of Richard’s long-time Montreal teammate, Jean Beliveau. Like Richard, Keon was the little guy with the big heart and constant motor. I remain awe-struck to this day that he played more than 20 years of professional hockey and basically averaged less than 10 minutes a season in penalties. (If you discount one misconduct penalty and one 5-minute major that I recall, it was actually way less than that…) He was such a wonderful skater, using angles and anticipation expertly to shut down opposition lanes that he virtually never had to resort to illegal tactics to check the opposition. A quiet guy who led by his on-ice work ethic, there should be, in my view, a statue of Keon in front of the ACC. No one in my memory worked harder, night in and night out for 15 seasons, than Keon, or played fewer bad games. 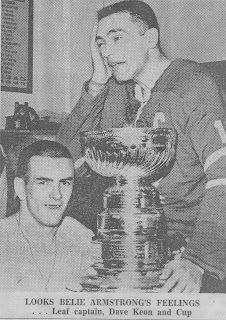 Ron Ellis (right) may have been the epitome of the classy Toronto Maple Leaf. He was trained in the old-style Leaf tradition—wingers checked their man and stayed on their wing. (Ellis usually was assigned to cover the other team’s best left-winger, most notably Chicago's legendary Bobby Hull.) 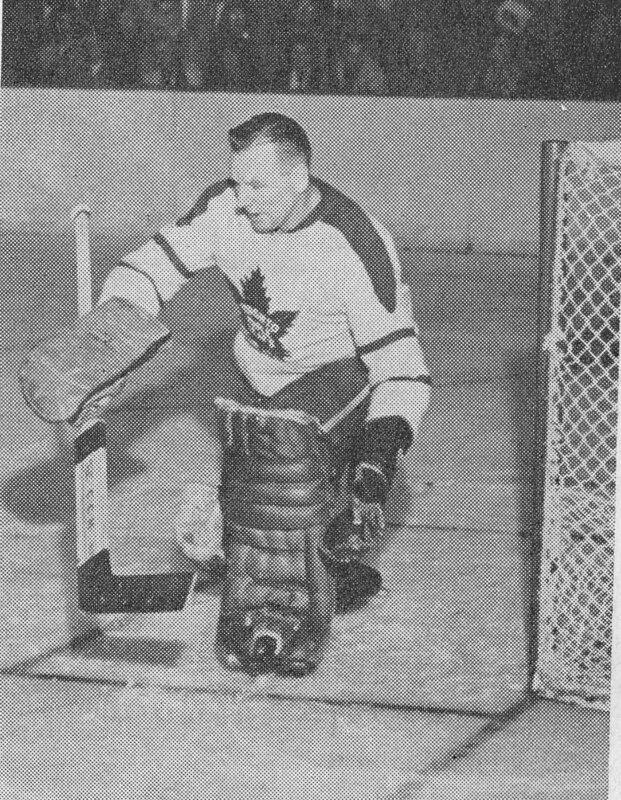 But Ellis was consistently a marvelous Maple Leaf, scoring enough to make him one of the all-time leaders in team history, and obviously earning (deservedly) a reputation as one of the best defensive players of his era, which spanned from the mid-1960s to the early ‘80s. Darryl Sittler and Lanny McDonald have always seemed to go hand in hand, though Sittler arrived here three years before McDonald did and was still a Leaf for a time after Lanny left. Both were first-round draft choices, and together, they played some tremendous hockey together. Both could hit, fight, and make plays. They were power forwards before we really created that term and they could (unlike some other players of that era….can we spell Bobby Clarke?) fight their own battles. While both ended up being traded (a re-occurring theme of the Ballard ownership era in terms of how he treated some of the franchises's noteworthy players), they were not only Hall-of-Fame players but individuals who represented the Leafs proudly off the ice. I’d put Wendel Clark (left), a mid-‘80s draft pick, in that category as well. Though injuries unfortunately hampered his career, when healthy (or at least when he could bend down far enough to tie up his skates so he could play) he was such a difference-maker. I know we don’t usually think of guys who were fighters (though Clark was much more than that, for sure…) as “classy”, but I would argue that Clark usually only engaged in fisticuffs when provoked, or when defending a teammate. He didn’t complain and didn’t seem to say a whole lot, he just played hard as often as he could. To this day, he is a very popular and well-regarded "ex-Leaf". Doug Gilmour fits the mold as well, at least in my broad definition. We all remember that he played with his heart on his sleeve. While his stay in Toronto was, looking back, relatively brief, he was an inspirational player who led by sheer energy and willpower. For me, he has to be on the list. There certainly have been others who I feel had just that little “extra” about them that made me feel proud that they were Maple Leafs. (I’m biased but I felt that way about Pat Quinn when Pat was coaching here. I always felt as though we were in good hands…As a manager, I’d put Jim Gregory on the list, too.) 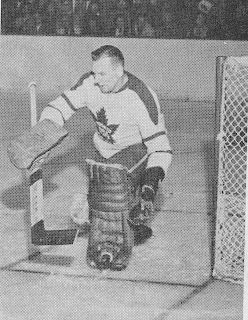 I think of a few of our modern-era goalies, like Allan Bester, Felix Potvin and Curtis Joseph as classy Leafs. Defenseman Sylvain Lefebvre is in that category for me as well, though he was not here for very long. Todd Gill, also, wore the Leaf jersey with pride. But I’d like to hear your thoughts. Do you agree with my assessment of those I’ve cited? Who else do you think deserves to be on the list of “classy” Maple Leafs since the late 1960s? They don’t have to be star players, just guys who were here for a while and who carried themselves in such a way—on and off the ice— as to make fans proud that they represented us. Jonas Gustavsson. The guy was going through allot..death of parents. He had his own multiple heart problems. He got thrown to the wolves behind a bad team that didn't play much defense. He was mishandled by Wilson and Allaire. You could tell the guy didn't like losing. In spite of it all, the guy didn't say a bad thing about anybody. In my mind that shows a bit of class. I think he will do well with the Red Wings. I will confine my thoughts on this topic to two more recent players to don the Blue and White. I think that Mats Sundin and Tomas Kaberle are the players that exemplify the characteristics that we are talking about here. The way they played the game was very classy. I can't remember any thuggish behaviour on either of their parts. They always spoke politely when questioned and could easily have been Lady Byng trophy winners in my mind. No matter how I felt about them as players at any given time, I always respected how they went about playing the game. I still can't believe that Sundin let management saddle him with the likes of Jonas Hoglund for all those years, while not screaming a blue streak to the media. Dan Daoust, Borje Salming, Rick Vaive. Salming's skills remained eye-popping, even when showcased on such weak teams as the Leafs iced through the '80s, and I always thought he was way too classy for the circus-like atmosphere of those teams. None of it ever stuck to him though. Vaive was probably out of his depth as a young, underqualified captain of a sad-sack franchise (echoes in the present-day, perhaps? ), but I thought he largely rose to the challenge and became a leader on the team, all the while absorbing a gruesome amount of physical punishment, game in and game out. And Daoust to me epitomized a kind of grit, determination and quiet prowess that was de rigeur on Leaf teams during the championship years, but had largely disappeared by the time of Punch Imlach's purges in the early '80s. Glad you mentioned those individuals from the '80s, PRE. Sometimes we tend to overlook the good moments and fine players of that difficult Leaf era. Salming was a distinguished Leaf, as you cite, for many years. I actually grew to admire Vaive more as years went on when he was playing elsewhere, for precisely the reason you mentioned. He took a lot of physical punishment for his team, a thankless job, and still put up huge offensive numbers. Well, I am only qualified (and that in the loosest sense of the word) to discuss Leafs players from 2000 on but I have a strong opinion about this. Sundin has already been mentioned and I concur, ditto for Cujo. But for me, watching my first ever hockey and watching our team look likely for a couple of years running, the two guys who I recall as being team-first and well grounded, who seemed to understand their role and who never seemed to disappoint, even on their quiet nights, were Gary Roberts and Stevie Thomas. Watching Roberts was the way I learned that in hockey, you didn't simply have 4 lines of gradually reducing scoring threat. Though he played plenty of time with Sundin, the way he would be utilised up and down the lines was how I learned that some players were the ones that their opponents just didn't want to match up with. 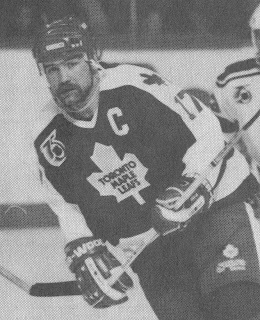 With Steve Thomas, I saw a guy on his last legs, but a guy who obviously had the respect of his teammates and who often brought a smile to his game: he had perspective and it seemed to only enhance his pride at being a Leaf. While I'm sure neither ever suffered the indignity of being paid such lowly wages, they are my two cents' worth. For me, it would have to be Clark and Gilmour. Clark was the igniting spark for me becoming a Leafs fan as a teenager, not because he was a fighter, but because he was so much more than a fighter. Dare I say warrior? Well, I just did. Everything about him was, and still is, pretty awesome in my eyes. He wasn't big, but he fought, and won, the biggest and baddest guys in the league. He was drafted as a defenceman, got converted into the left wing in the NHL, and scored 46 goals in 93-94 season. He rarely took slapshots, although Curtis Joseph probably remembers well his most memorable one, but he had a killer wrister. And he absolutely loved the Leafs. Then Dougie joined, and while he was already a fine player, he seemed to kind of realize his potential in Toronto. He was an exceptional player in terms of not only hard work and determination, but in cunning and playmaking ability as well. And yeah, he loved being a Leaf as well. Of the current squad, I like Grabovski the best. Even if he's nowhere near the class of the three guys I listed above, he is a spirited fellow who, I think, loves being a Leaf even while things are not going all that well. I'd like to see him stick around for a while. Very nicely said, CGLN. I'm with you on all counts. When Grabovski came, it was a "ho-hum" trade for me. I didn't mull over the trade, like I often do when the the Leafs make trades, it was almost an afterthought. But in him we nowadays have a guy, who is playing for a losing team and making the most of it, even though he clearly hates losing. He might not be an influential character in the dressing room, like Phaneuf, for example. But he does things on the ice, sometimes they're futile, other times they're phenomenal, and I have to respect that. Even when he's losing, he doesn't ask for a trade; instead, he tries to make things happen. He wants to win, and he wants to be a Leaf. That has to be worth something. His charisma has grown in my eyes over the past few years, and he has earned it. I'm currently very happy to have him as a Leaf, and that's a lot more than I can say about most of the current roster. That's the thing for me, too, CGLN. He seems to want to be here, actually likes playing for the blue and white. To me, that is indeed worth a lot. Given the language realities he is no doubt a "quiet" guy, as you say, in the dressing room. But over time, hopefully his clear desire to win, as demonstrated by how he plays, will influence his teammates. We all remember his night in Boston, when he was hammered and came back to score a beauty winning goal. But he has done much more than that for the Leafs, and fits on today's list, for sure. Man, that night in Boston is what, I believe, was one of those "defining moments" within the career of any player. It was magic, and made me ask "now why doesn't he do that in every game?" Of course, the answer was very obvious, in that it was a moment of pure magic, which is not something that happens every day. But it felt really, really good when it happened, and it'll feel good for years to come. Today's hockey is filled with businessmen who suit up to make their end of the bargain, but it's a rare guy who feels blessed to play hockey professionally. Grabovski is, for me, the guy who is not after a bigger contract so much as he is playing for the sheer joy of it. And that is exactly the kind of attitude the Leafs need.